Flexible Shaft Grinder is a combination of a Flexible Shaft consisting of a rotating wire rope or coil (known as Inner core) which is flexible but has some torsion stiffness, and an Induction Electric High Speed Motor mounted on a swivelling stand. Flexible shaft is constructed with a number of superimposed, tightly wound, helical coils spring wrapped around a centre wire due to which it can be bent, without fracture, to a much smaller radius than a solid shaft of the same outside diameter. 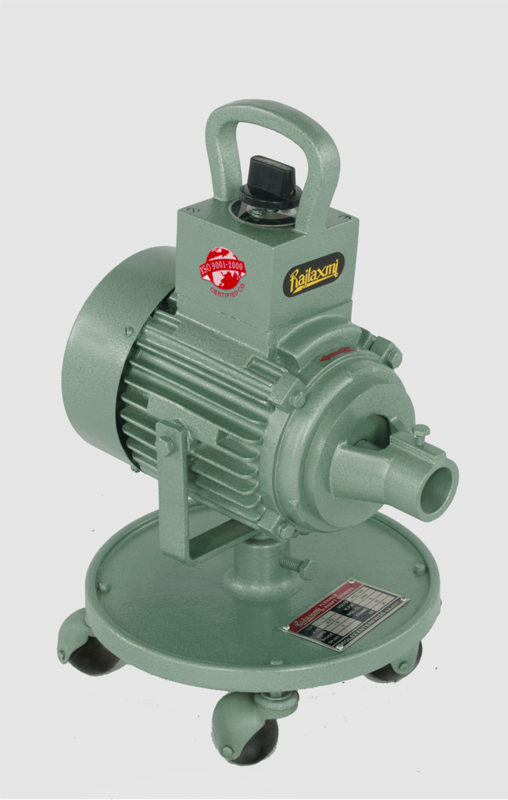 When the motor is switched on considerable power is transmitted with negligible friction to the end of the flexible shaft where a grinding, cutting or buffing wheel is attached. The biggest benefit of Flexible shaft grinder is its possibility to operate in restricted areas at constant speed. Thus Flexible shaft grinding is the most appropriate method to grind or polish heavy unmovable or heavy to handle jobs there by giving freedom to the operator to grind the job without handling it. Flexible Shaft Grinders manufactured at Rolex Enterprise and Raeco Enterprise. These are continuous duty rating, easy to operate, robust constructed, vibration free and low maintenance as a result of which high productivity is achieved at lowest consumption of power. Grinding in places where bench grinding is not possible like Grinding between Two Fins of Motor Body or Gear Box body.